“Amusingly seething anti-CT rant by fed-up Joburger”. Which it is, of course. Not to mention severely pot-holed, with no working traffic lights. And with defences for the average suburban home that make American bases in Afghanistan look like kids’ playgrounds. Well, yes?? Otherwise they’d have to talk to people they don’t know! I mean, I’ve been here 40 years, and Capetonians still don’t speak to me. Including, it seems, my own children – who were born here. But that’s OK, because we just befriend Namibians, Zimbabweans, and the occasional Gautengi. Obviously: one does try to keep the commercial areas separate from the areas where one lives, after all. Let’s phrase this another way: you need danger pay to live in Jo’burg, and there’s more to do here. Like drinking good wine you didn’t have to buy in Checkers. “We”? You mean the 9+ million people in Greater Johannesburg? I should HOPE you contribute more to the GDP – but just 10% more doesn’t cut it, if you have 3x more people than we do…you see, we educated people down here innie Kaap! DESERVES a sound thrashing, let alone relief from too much ill-spent money*. *Which doesn’t happen in Cape Town, of course. Sure! But I refer you back to potholes. And working traffic lights. True, true…but if by “don’t live anywhere near” you mean “not within a half-hour’s drive”, then NOT true. Whereas you lot need “6 hours in a Chevrolet”, to quote Jeremy whatsit, to get even close#. And that’s to Durban – and who wants to go there?? Then, of course, we have the winelands: lots and lots of winelands. The Mountain. And other mountains – real ones, not man-made ones full of cyanide. #And we do NOT count the Randburg Waterfront as an actual Waterfront. Yes. And? We also don’t pay R200+ to go one stop away from the airport on one, either. And the high-speed taxis that can take you to anywhere in Cape Town more than make up for it. Ah, now, this is where you are SERIOUSLY wrong. Consider point 5, above: I would seriously doubt the viability of any zombie horde in Cape Town, for a few very simple reasons. These being the Junky Funky Kids, the Hard Livings, the 26s – 28s, and all of their ilk: I would seriously doubt whether any zombie army could survive the predatory power of armed Cape Town gangs intent on relieving them of any and all personal ornamentation, sunglasses, designer jeans and shoes. And once that had happened, of course, we in the quiet suburbs would be safe from zombie predation, given that it is nothing much worse than what we already experience on a daily basis. In fact, Gus and I are supposed to be writing a zombie novel set in Cape Town – yes, we are, Gus! – in which just such events will come to pass. With the Cape Town hippies and hipsters so beloved of Ms Mitchell who become the zombies – due to an unfortunate series of events involving a bat, a rat, a stray dog and a hipster – being ruthlessly and efficiently cleaned out by Cape Town’s finest. And by our finest, I do not mean the SAPS. You think we in Cape Town like people like that?? Jade, we try to run them over ourselves – or at least I do. Because, dear Jade, they’re not from around these parts: they’re immigrants; arty people from upcountry who try to adopt our city as their own. And we know this, how? Because they hang out in Long Street – which is where we send our children to learn the Art of the Hunt. 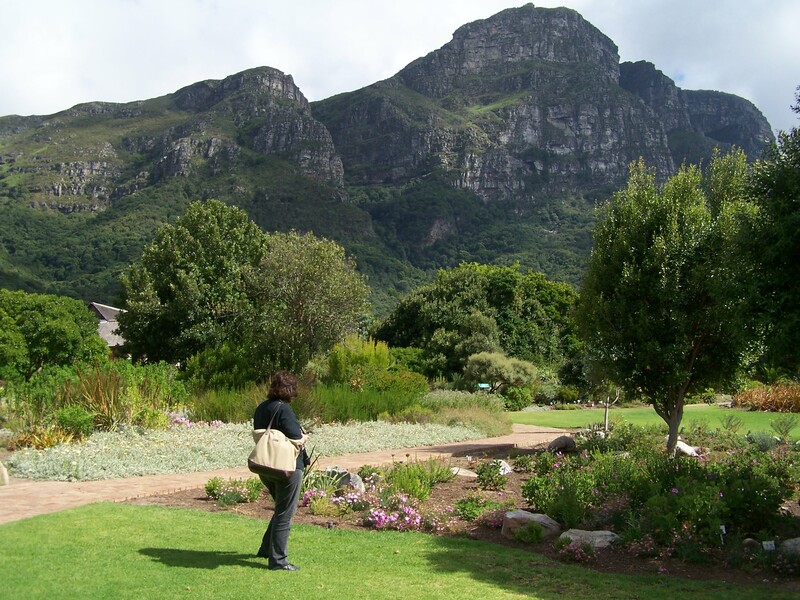 Two good reasons to be in Cape Town: The Mountain – and Kirstenbosch. Oh, and the good wife, of course. Rock on Ed. Funny how nobody remembers that the special forces are trained in Saldanah when it comes to prophesising the zombie apocalypse.